Dr. Samuel M. Liu is a lifelong resident of the Princeton area. An alumnus of West Windsor-Plainsboro High School, he trained at Johns Hopkins University, Vanderbilt University and the University of Maryland. While in medical school, he was the recipient of a Medical Scientist Training Program (M.D.-Ph.D.) scholarship. His Ph.D. is in Biochemistry, where he studied mechanisms of breast cancer cell functions. 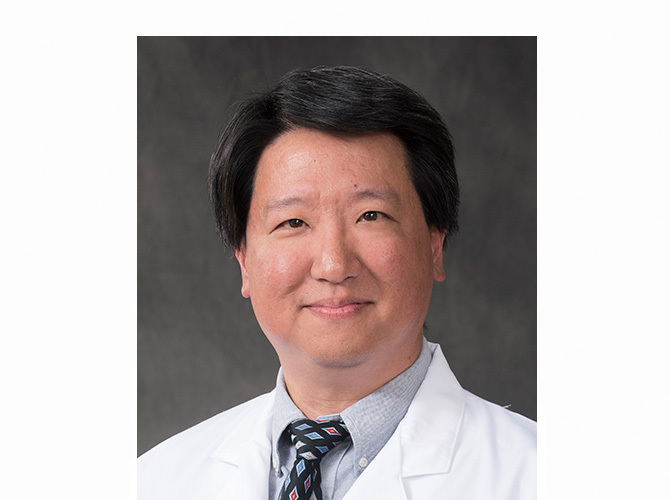 Dr. Liu is the Director of Retina and Imaging Services, where he specializes in macular degeneration, diabetic retinopathy, and retina conditions. He is unique in that he is also very experienced in cataract and LASIK refractive surgery, and accomplishes all of these specialties together. Besides being named one of “America’s Top Doctors” since 2004, he has numerous research publications to his credit in multiple scientific and medical journals. He is a board-certified ophthalmologist, and an attending surgeon with the University Medical Center at Princeton and the Wills Eye Surgical Network. Dr. Liu is also fluent in Mandarin Chinese, and writes medical columns for the several Chinese-language newspapers.